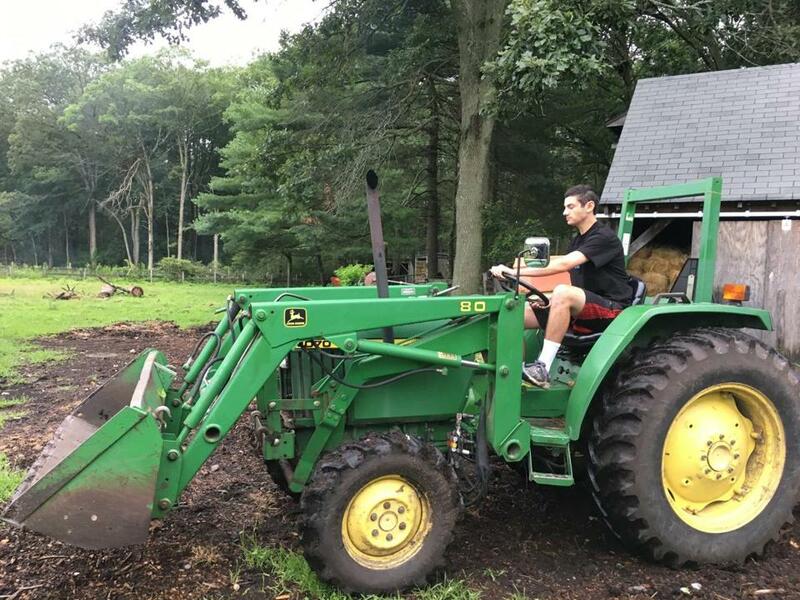 My son likes farmwork — will he get into college? Tim West at work on Mill Iron Farm in Carlisle. It was already early May. And so, as with every spring since my son’s high school career began, it was time for the pre-summer talk. Once again, summer employment on his grandparents’ farm was his highest aspiration. For generations, I reminded myself, New England farm families like mine would have been happy to hear their teenage sons express so much enthusiasm for farmwork. For that matter, most of those farm families wouldn’t have even asked their sons what they planned to do over the summer — it would have been a foregone conclusion. After all, that’s the very origin of having summers off from school — to get the farmwork done. But not in the 21st-century American suburbs. In communities like ours, summer plans for many teenagers take on far more significance than helping with chores or earning money. Summer for teens has come to mean choosing that perfect alchemy of activities that will do the most to boost their college applications when the time comes — that intricate balance of productive and selfless yet not too obviously contrived. Tutoring disadvantaged students, rebuilding hurricane-ravaged housing, or maybe for the more scholarly, working in a research lab or taking college-level math courses on an Ivy League campus. And then there was our son, who wanted nothing more than to spend his summer baling hay and building livestock fences. But even in my mild disappointment, the irony wasn’t entirely lost on me. What had I done in my own teenage summers? Ridden my bike around town. Watched the stars without caring about either the proper names for constellations or the principles of astronomy. Sat in the woods trying to write and ultimately discovering I had absolutely no talent for poetry. Why weren’t such unambitious pursuits good enough for my own child? Well, because times have changed. Because parents now learn to think in terms of college appropriateness from the beginning of high school. When it came time to apply to college, I envisioned all my son’s peers writing exuberant essays about their personal explorations in distant lands, the remarkable cultural and socioeconomic discoveries they’d made through their forays into experiential learning, while my own son would be writing about driving a tractor. But then he showed me a draft of his college essay. Indeed, like many of his peers, he had written about his summertime diversions. And also like many of his peers, he had written about the spiritual, intellectual and personal growth he had experienced therein. Yes, he wrote about driving a tractor…..but he also wrote about all the things a kid could learn while mowing a hayfield. He wrote about the way a fox creeps across the edge of a meadow with her kits behind, a hawk watches silently from a treetop perch, grasshoppers and crickets leap in arcs. He wrote about clouds and sun and rainbursts. He wrote about the way a kid can find a lot to think about while cutting straight rows of grass, without text messages or email notifiers to interrupt his thoughts. Tim had indeed gained wisdom and insight through the summer job of which I had always been dismissive. And whether the essay played a role or not, he got into college. And rather wistfully, I acknowledged for the first time that a summer of manual labor combined with resting and relaxing sounded like an entirely unassailable choice.